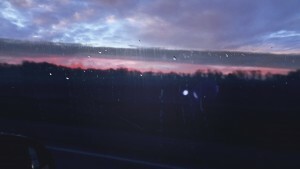 Sunrise from a road trip after I visited Illinois State University to do some Chair massages on campus. My husband and I saw this beautiful sunrise on the way back home. Blogging offers a whole other way to report about hot topics in holistic health. I love blogging. Using social media is a fast and exciting way to share “the latest news.” As a health blogger and writer for Examiner I love social media. I use Twitter, Instagram, Youtube and now the app that Apple named the number one new app for 2015 – Periscope. I wanted to share the highlights from 2015 with some of my hottest topics. 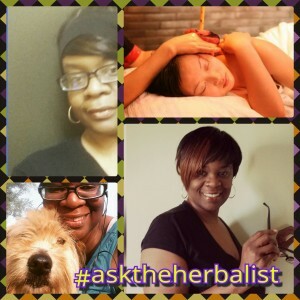 Let’s look at my social media adventures as I reported herbal remedies, vaccine updates, health alerts and promoted my private spa in Homewood, Illinois, Sacred Therapy Spa. I tried to build the growing list of tips and remedies from A to Z on my blog. After being on Twitter for over 8 years @momsherbs is followed by heavy hitters like @barackobama, The president Barack Obama, @MCHammer, Motown singer @SmokeyRobinson and Chicago newspaper @RedeyeChicago. I have 3,543 followers. My @momsherbs Twitter account has been added to several Twitter lists such as Aromatherapy, Holistic/Homeopathic pros and more. @DoctorsTV showed me some love on Twitter when I posted a picture of me and my doggie Sammy. Sammy and I walk regularly for fitness. I am learning how to work the hashtags to attract more readers and get my information out to a broader audience. This social media platform is just a great spot to share my holistic health images related to my herbal health business and holistic spa in Homewood, Illinois. I’m not too far from Chicago if you are looking for a nice cozy spot for massage therapy. Check me out at www.instagram.com/momsherbs. I now offer ear candling at my spa in Homewood. Clients are loving this treatment to clear extra wax in the ears. I scoped about my favorite health products, cool health apps and more. I had to share my favorite meal replacement drink I order through Nature Sunshine called Love & Peas. It is so delicious. It gives me so much energy. I have a katch.me page to save my Periscope videos on. Go to katch.me/momsherbs and see my product review. I also talked about a cool app that helps you remember to drink enough water each day – Water your body. I plan on doing more Periscope video casts about herbal remedies, healthy recipes, product reviews, cool health apps and more in 2016. Get the Periscope app on Google Play store or Apple App Store then follow me at www.periscope.tv/momsherbs. I am a fan of Android and Apple with my Samsung Note 3 and an Ipad mini. I can’t wait to upgrade to the Note 5. Both devices are helpful, so I never miss a tweet or good scope on Periscope. I now have my selfie stick and tripod for live video casting. My daughter Leah always tags me on Instagram to share a funny gram. It is nice to get a good laugh to break up a busy day. Laughter is the best medicine. Social media can be so addicting, but it is also a great way to promote business, good networking opportunities and more. People can check in through Facebook and Swarm when they come by my spa for their massage. In 2016 watch for more holistic health articles to keep you updated on the best herbal remedies, vaccine updates, health alerts along with product reviews and some cool health apps. I will be sharing ways to do natural colon cleansing and detoxes for the new year. Watch for my live video casts on Periscope.